Purr-fect pirate fun. Grab your captain’s hat. Do you love adventures? Then sail away with Poppy Cat. She’s off on a hunt for buried treasure. Super! Her treasure map shows where to look, and all her friends help to steer the ship. Until – yikes! They’ve hit thick fog. Can a friendly whale come to the rescue? Finding shiny treasure and dancing under coconut trees. A sweet and simple treat for all you small swashbucklers. 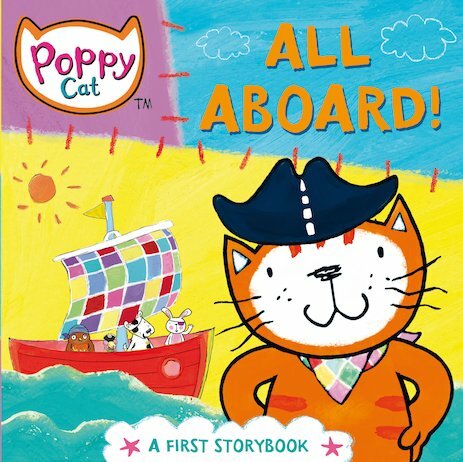 Lara Jones won the Booktrust Early Years Award for Poppy Cat’s Farm.